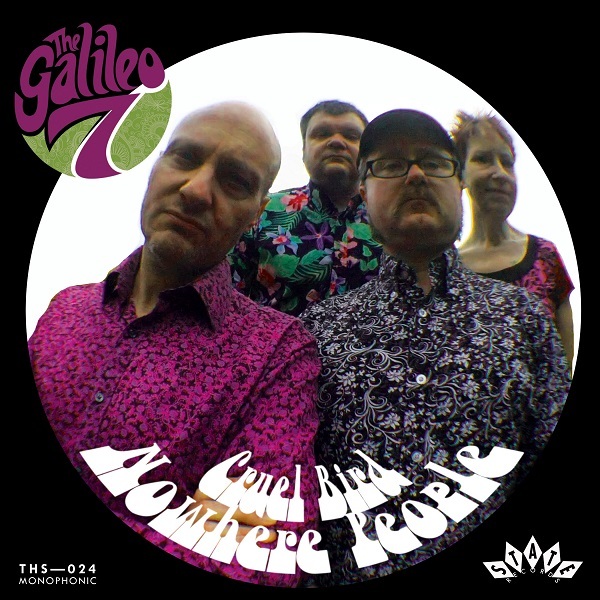 One year after their previous single One Lie at a Time / The God of Gaps, The Galileo 7 are back with two new blistering garage-psych-pop songs. Bassist Mole is bashing away on his drum kit and delivering over-revved rhythms that propel the music on both tracks. “Cruel Bird” is scorching neo-psych with a groovy guitar and organ break. While “Nowhere People” sounds like the band on steroids with all of them banging away delivering a wall of sound from the drums, organ, guitars, and bass. This new single is sure to please fans of 60s pop psych.